Today post is a special one! Once again I'm collaborating with T.Mlewin on their latest venture in Men's suits. If you haven't checked out T.Mlewin's website you should. 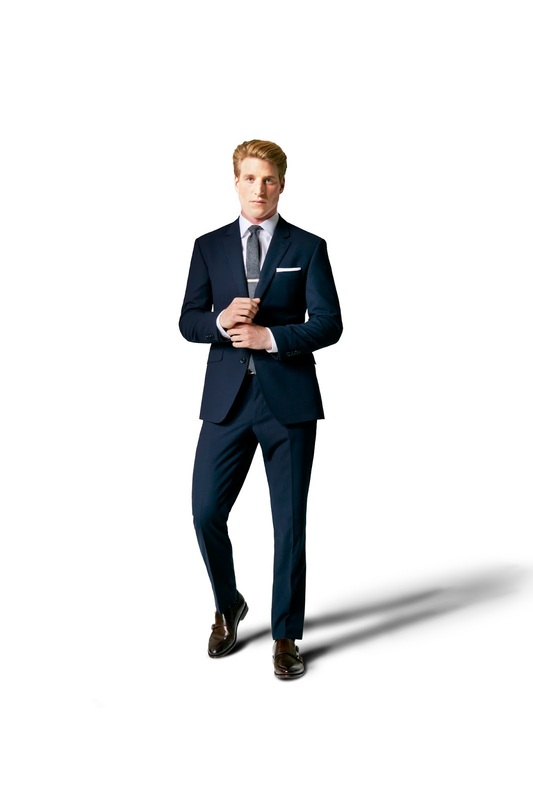 They have an amazing collection of men's suits and clothing for many occasions. The suit that has just been launched which goes by the name Infinity Suit is particularly interesting because T.Mlewin have used new technology in order to give the best possible outcome regarding fit, style and longevity. What is the Infinity Suit? Taking Inspiration from the finest traditions of British Cloth manufacturing, with a brief to help our customers look as good at the end of the day as they do at the start, the new infinity suit offers greater protection against crushing and creasing that will help you stay looking sharp all day long. But it’s not all about its astonishing Crease resistance. Its innovative Open weave also absorbs excess water, leaving you feeling cool & comfortable. It’s available in both Navy & Charcoal and in Slim & Regular fit. And combined with their latest range of Non Iron shirts as well, you’ll look as good at the end of the day as when you started it. 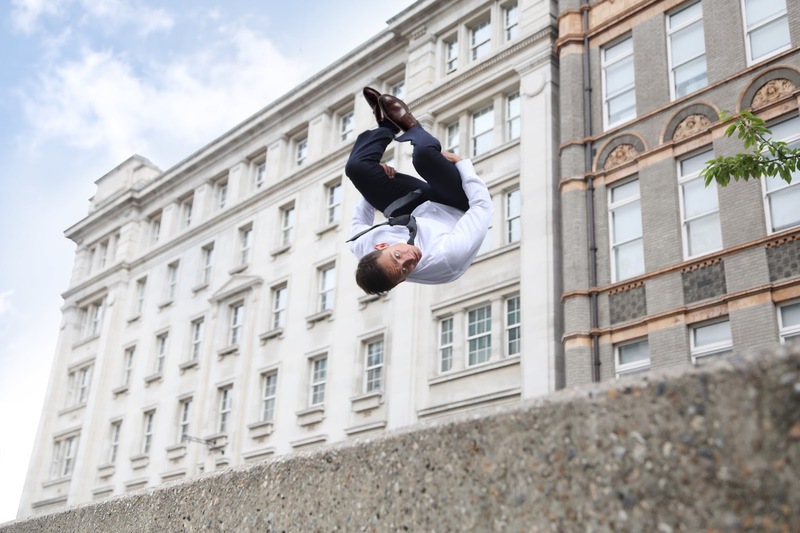 Chase has been credited as one of the most experienced and creative directors shooting Parkour and Free Running.TM Lewin felt he was the perfect subject to demonstrate just how resilient the new Infinity Suit is. 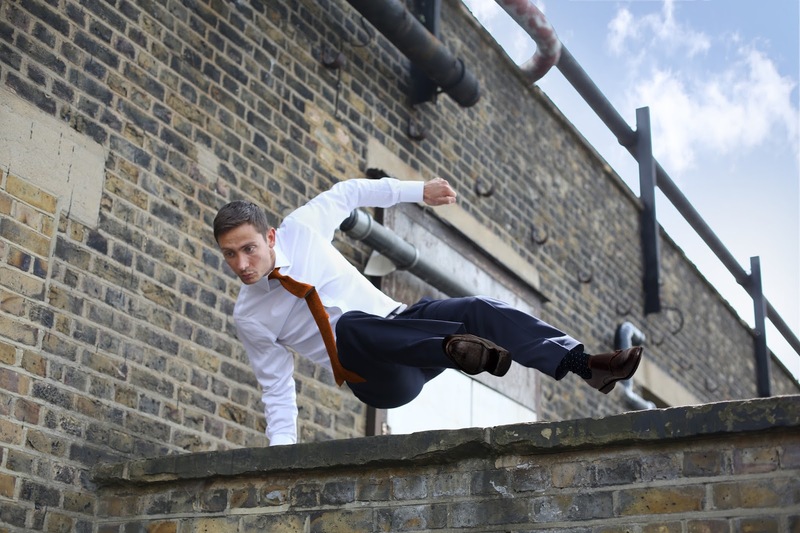 If it can survive a free running trip across London and still look amazing, it’s more than able to survive the morning commute, no matter how crowded your train, the hours caught in traffic jams or the traffic dodging cycle into work. Well after all this information there is no reason not to purchase this suit. I think it is definitely a life saver and it will keep you looking clean fresh and ready to go through out the day.